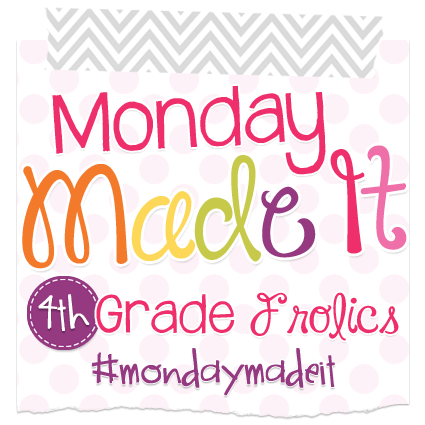 Monday Made It - Sub Binder and Bucket Filler Flash Back! 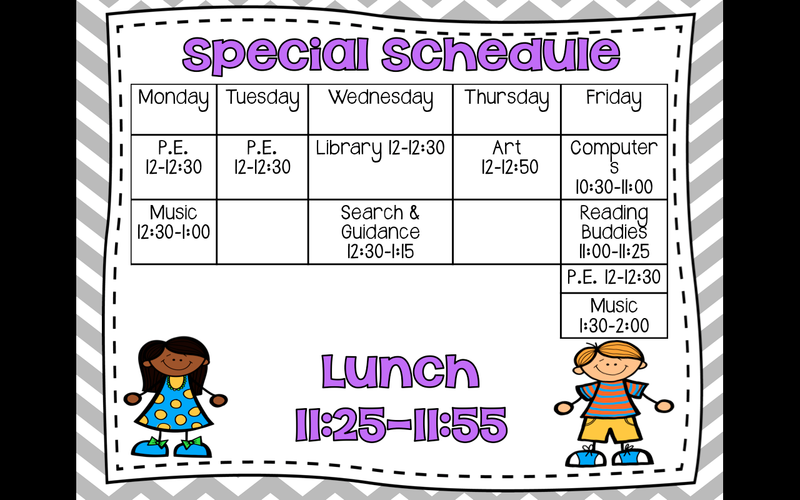 I had a ton of inservice trainings during my first year at my new school last year. I am talking like 35. So I wanted a sub binder that featured pictures. 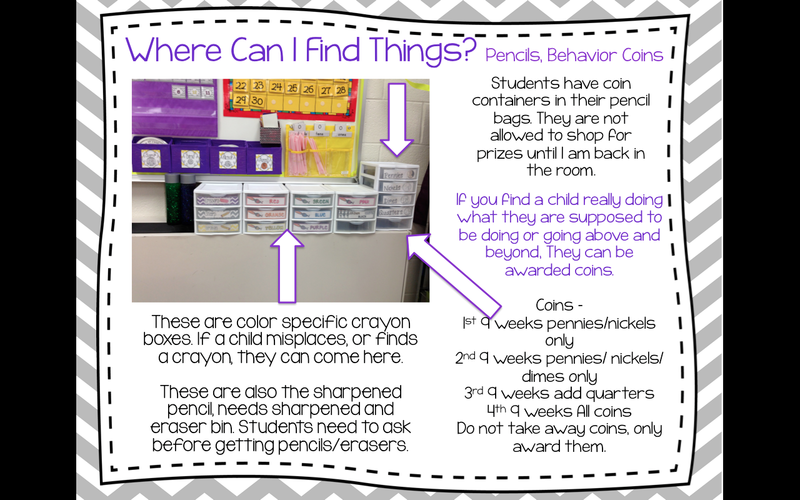 I was tired of typing it or writing it every week, so I typed it out with pictures and wanted to make it easy to find things in my room. So this is what I came up with. 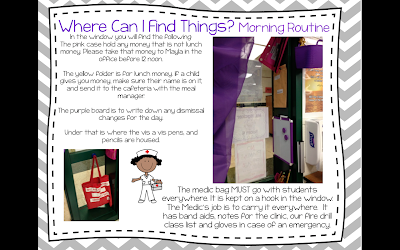 I was specific about children and their jobs and what they need to do in the morning. 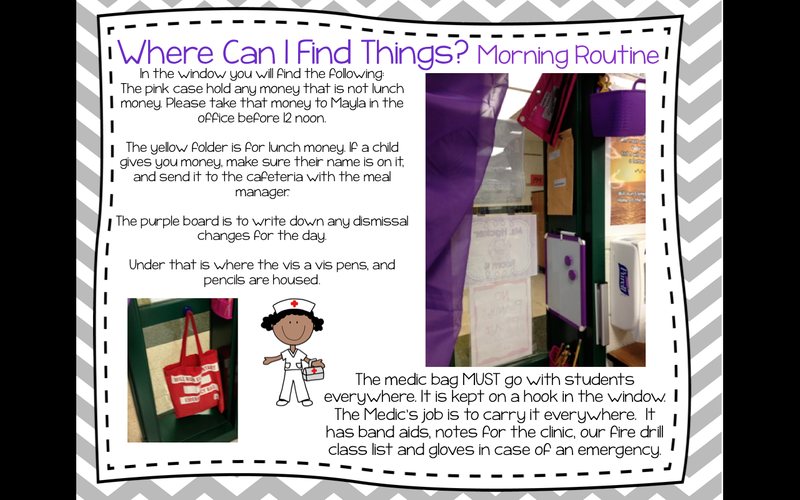 Where the person coming in could find things that go to the office each day and how children visit our clinic. 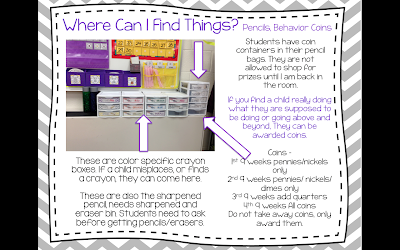 I wanted the sub to know behavior and how to reward and provide consequences for behavior as well. 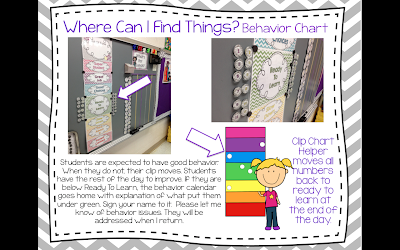 I also include jobs the children have so the sub knows how to have the room looking at the end of the day so that when I come back it isn't a nightmare! 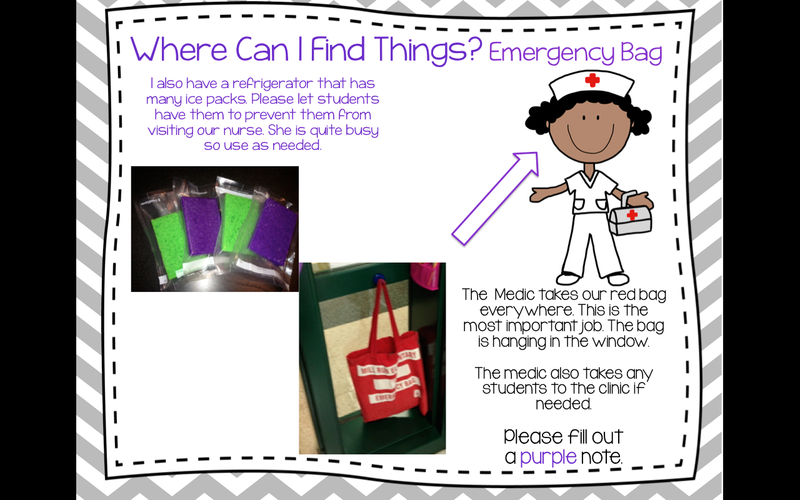 This lets the sub know where to find my medical bag, and that students can use my ice packs that I made and may enter the refrigerator if they need to. 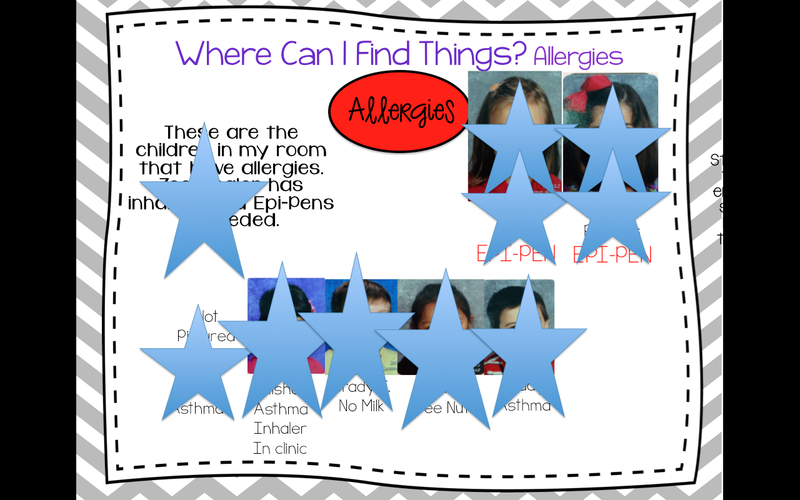 The most important part is our allergy page! This is a list of kids that require epi pens, inhalers etc and their picture so they don't have to walk around looking for them! 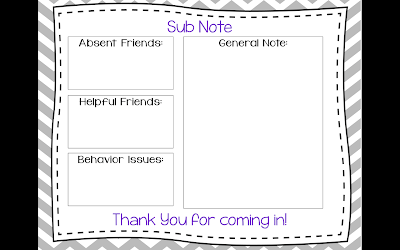 I also have a full page of my entire class with their name underneath the first day of school picture so that the sub can read my note about helpful and difficult kids before they get there and have a face and a name right from the jump. 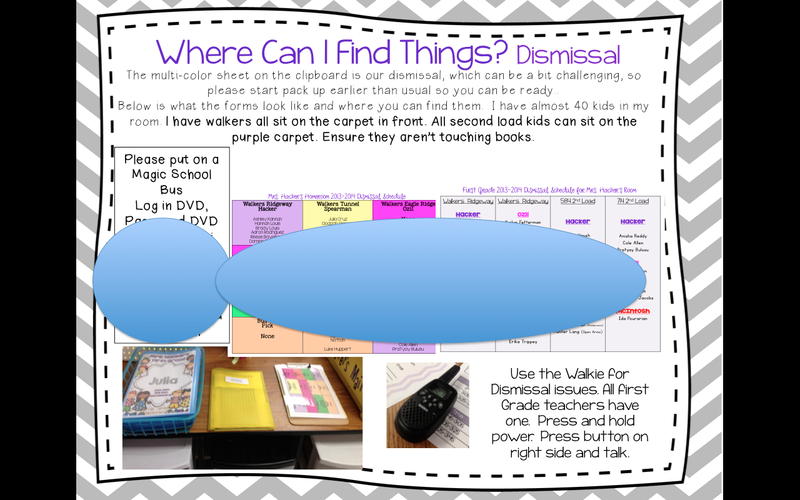 Dismissal is a big deal at my school, and I wanted to ensure they knew exactly how to do it. 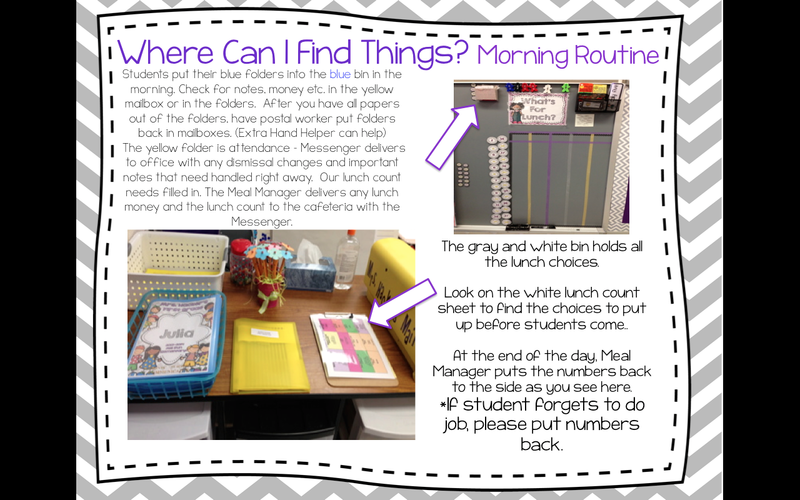 This is an replica of how my desk looks and where they can find things! A sub note that I want to see. I don't need a play by play. This is enough to figure out how the day went. What do you think of my sub binder? Would it be helpful to see this as an editable document? 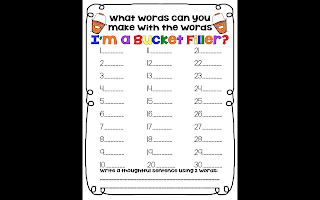 I also have been working on bucket filling in our classes. 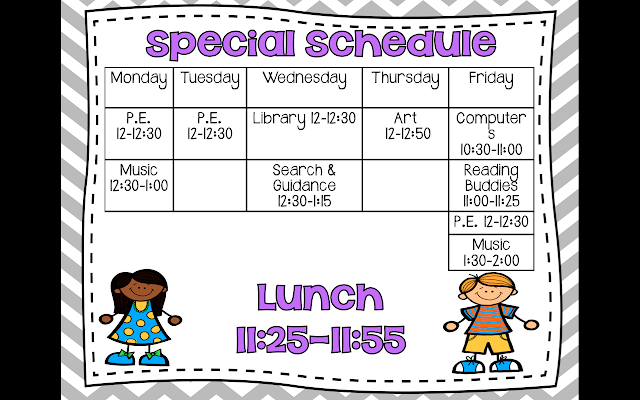 This is a new thing in our school this year. 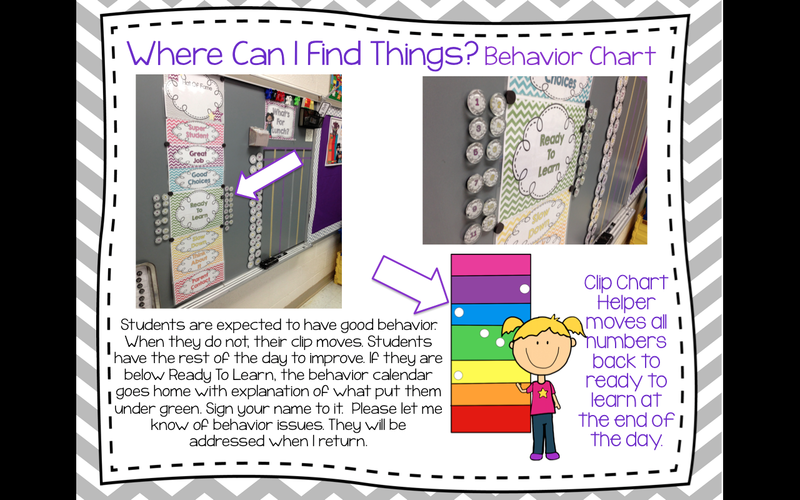 It is district wide that we are doing PBIS. Here is what my buckets fillers look like. 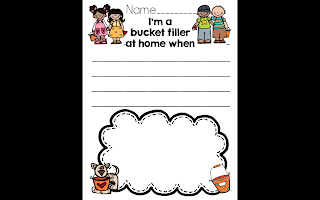 I haven't posted these guys in TPT yet because I haven't had time, but I did creat a bucket filler activity pack. Here are a few pictures from my pack. 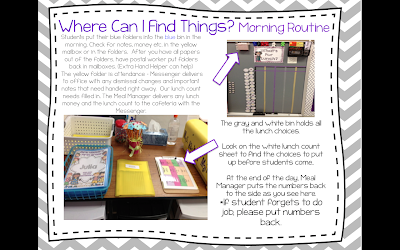 I also included this as a higher grade level where students do more writing than cutting and gluing. 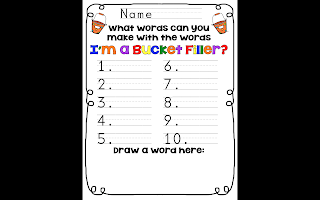 I am also giving away one bucket filler a day that I notice doing a great job that filled my bucket! 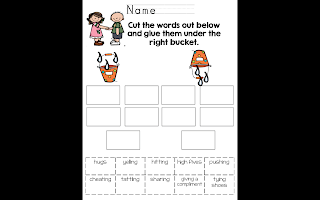 Primary word find using and promoting partners. 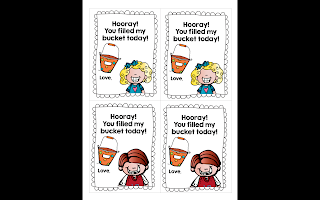 Click on any picture to go to my TPT to purchase this awesome pack. It is 32 pages!!!! I hope your vacation was amazing. 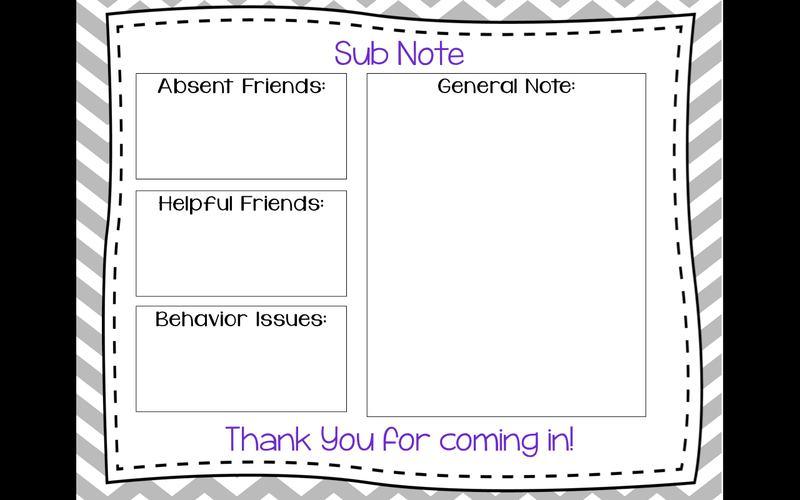 Great ideas for the substitute! We are bucket fillers also! 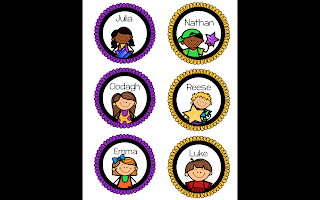 Love your cute circle nametags! 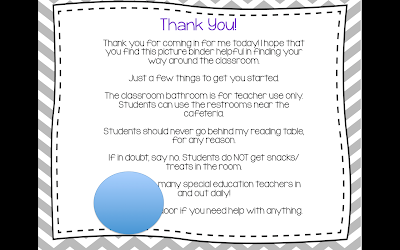 Your sub binder is awesome! 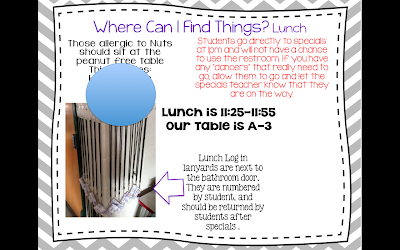 I love your sub binder, especially the "Where Can I Find Things?" with pictures. I definitely need to do that this year. Thanks for the idea. 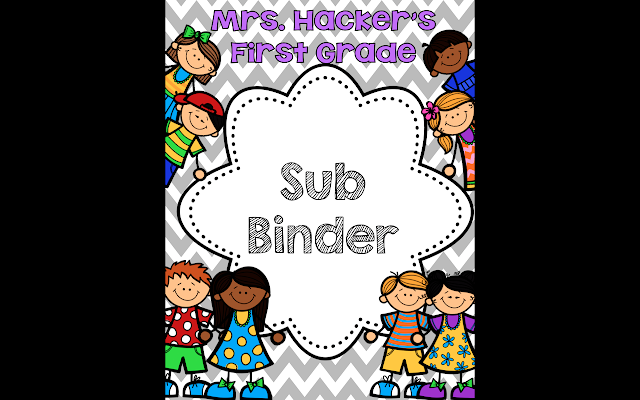 Love your sub binder idea with photos. 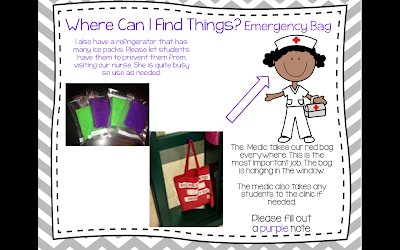 How did you make your ice packs?? Wow. Your binder is fabulous. I had a sub binder without photos... so it was a lot of typing. 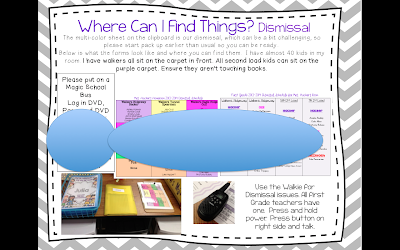 I am going to switch mine around to include photos! Such a clever idea! You made your icepacks... wah!!?? How did you do that? So clever! Thanks for sharing. Love the new buckets! What clip art did you use for the labels? 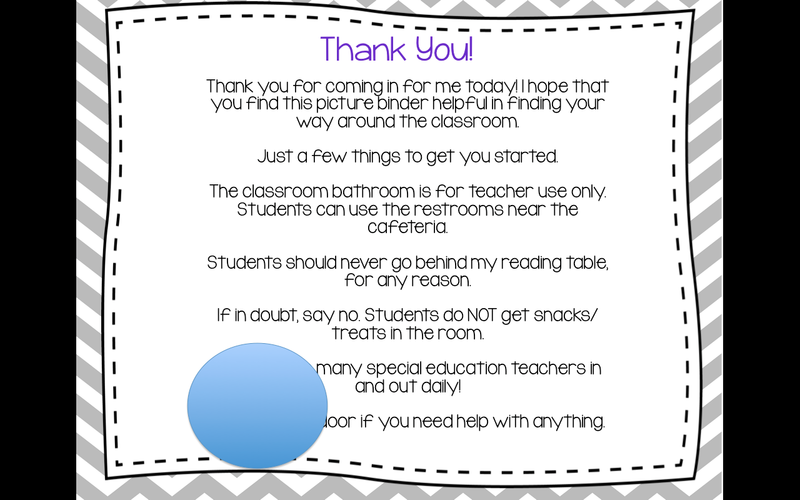 I love your sub binder, a great idea. Really cute! Love the nametags on the buckets!